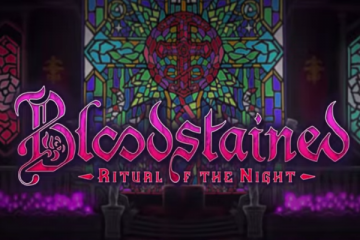 As one of the most anticipated games of the last few years, for me at least, Bloodstained: Ritual of the Night was high on my list to see at PAX East and it did not disappoint! 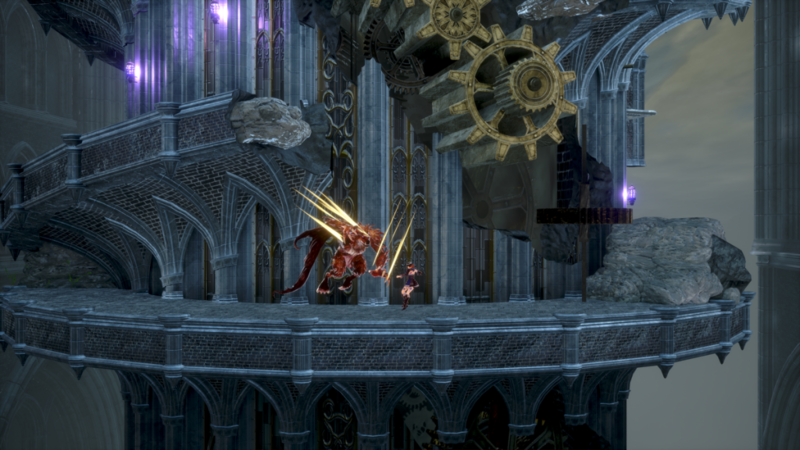 For those that don’t know, Bloodstained is a brand new game coming to us by Koji Igarashi. Yes, the genius who gave us Castlevania: Symphony of the Night (which Bloodstained is the spiritual successor). Artplay and 505 Games have brought this masterpiece to life. 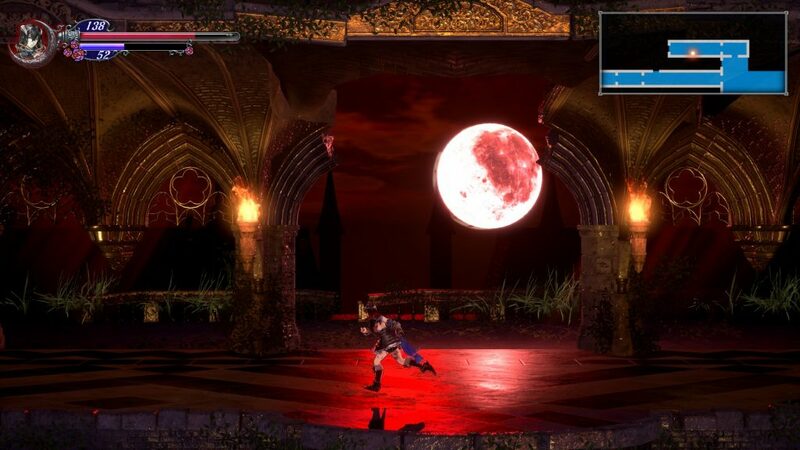 Just to recap, Bloodstained: Ritual of the Night is a gothic horror-action side-scrolling RPG set in 19th century England. You play as Miriam, an orphan scarred by an alchemist’s curse. 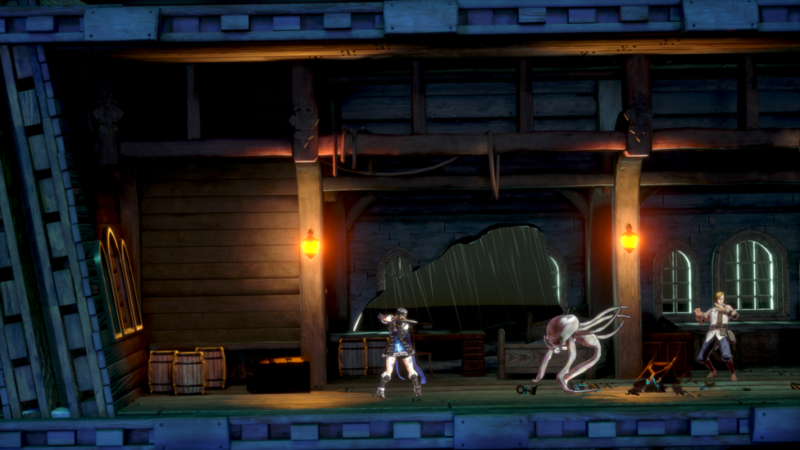 You and Miriam will fight a nasty paranormal force that has summoned a demon-infested castle. At PAX East, I was able to play the all-new demo that showed me some new elements, magic, and weapons. 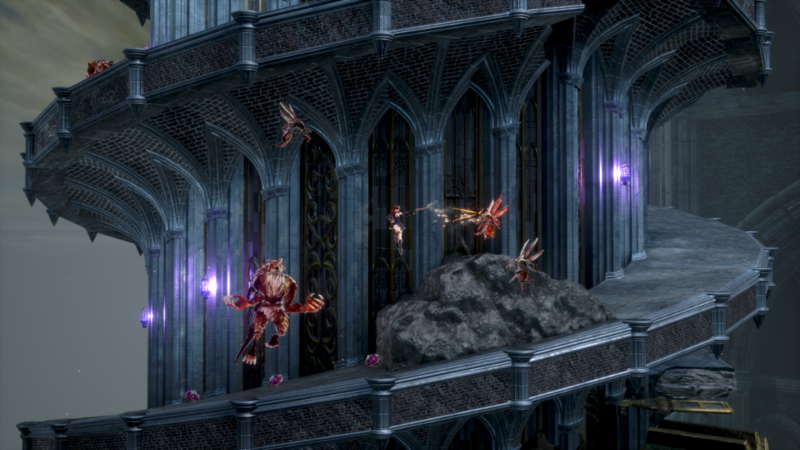 Players will be able to unlock so many spells and powers. 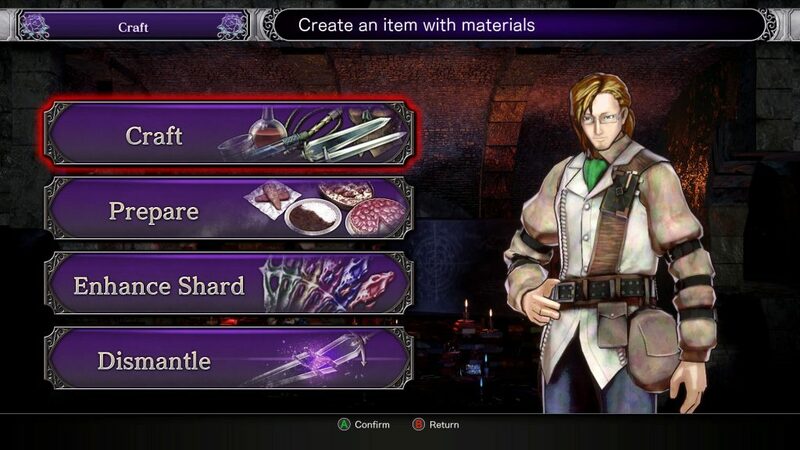 You’ll also be able to find, craft, and upgrade several types of weapons and special items to change Miriam’s appearance. While I played I was able to mix and match new gear and abilities to find my own play-style. For example, I wasn’t a huge fan of the Rapier sword. While it was fast and could do a lot of damage quickly, It wasn’t my play-style. However, I was able to find a broadsword that helped me do major damage and fit my fighting style. I collected a bunch of new spells that I tried immediately. Some were better than others, of course, but it was nice to see that no matter how you play there will be so many different options for you to play with. 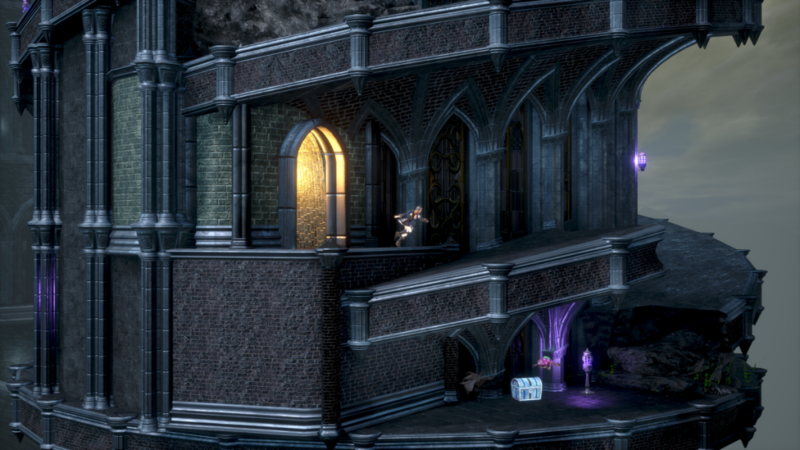 The 2.5D graphics of this game give it a needed update to some of the feeling with many of the old Castlevania games. It was smooth and flowed nicely but without losing any of the background scenery’s wonderful landscapes. The 3D artwork that was done shows how much care was put into the game. 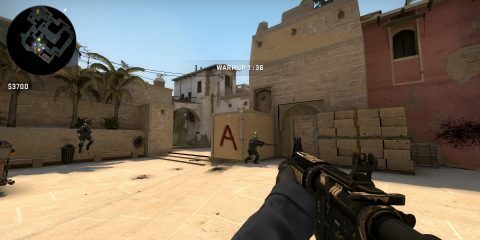 The characters pop to life no matter where you scroll through the levels. The monsters are beautifully designed as well. The music transports you to a new fantasy world and yet it seems familiar. That is probably because the music features industry icons Michiru Yamane (Castlevania: Symphony of the Night) and Ippo Yamada (Resident Evil, Mega Man). 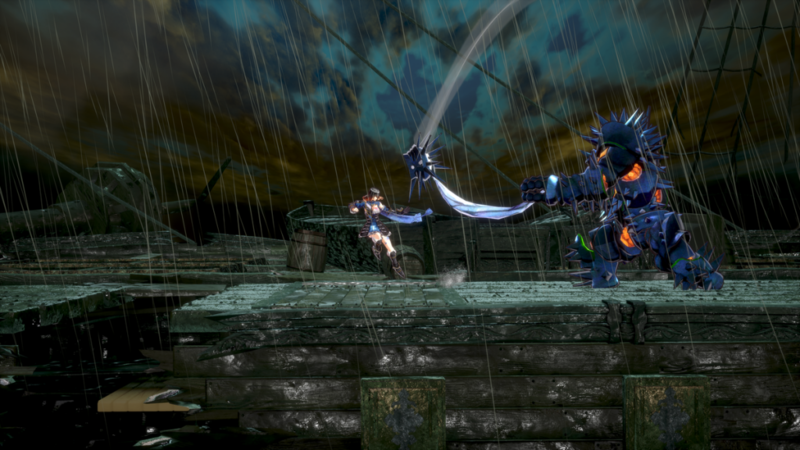 I really was impressed with the artwork in the game; I was told that Bloodstained is the “largest of Koji Igarashi’s entire career, with a map size nearly double that of his previous games.” Which, if you played any of the previous games, you are in for a real treat. To keep up the design and creativity of monsters and weapons as they do for such a huge map is so impressive. 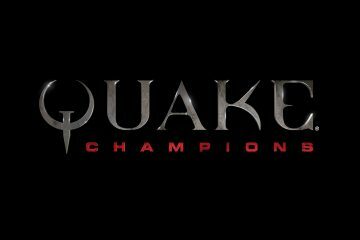 I was able to play an entirely new area of the game and I thoroughly enjoyed my time with it. 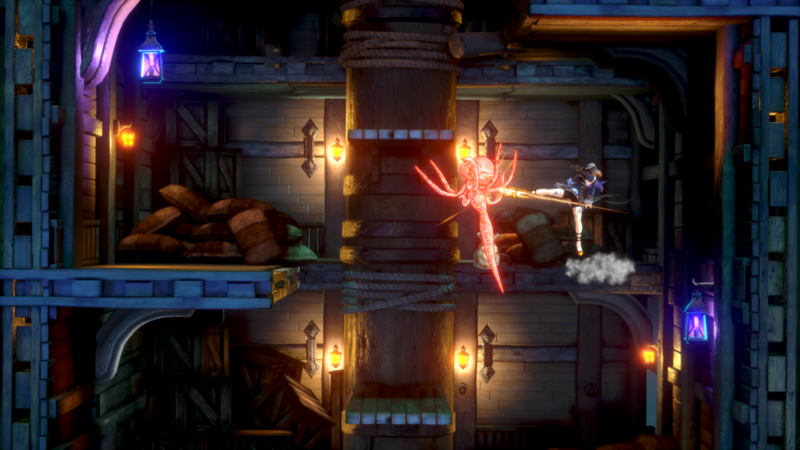 The new area featured new enemies, weapons, costume accessories, updated graphics and lighting, and intense final boss fight! The stunning artwork captivated me all throughout my playthrough. The new full orchestra set composed by renowned composer Michiru Yamane (Castlevania: Symphony of the Night) had me fully in love. I am eagerly awaiting more. 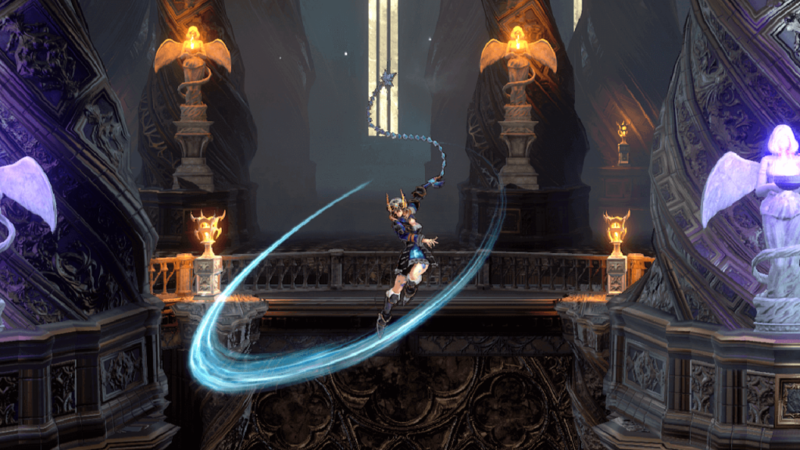 Bloodstained: Ritual of the Night will be released on PlayStation 4, Xbox One, PC and Nintendo Switch this Summer. Don’t miss out on this creative, wonderful new Metroidvania that many of us have been waiting for for 20 years!